Singapore flags have a history that is reminiscent of the history of many other flags. The modern design for the flags follows in the footsteps of the nation's colonial flags, and it was first adopted after the nation became independent from the British Empire in the middle of the 20th century. Singapore became self-governed in 1959 within the British Empire. At that time the flag was also adopted. They kept the flag design when the Republic became independent on August 9, 1965. The elements of the flag denote a young nation on the ascendant, universal brotherhood and equality, and national ideals. 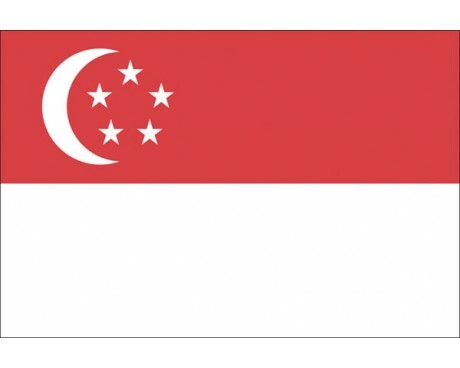 Singapore flags consist of two horizontal bands of red and white. The red band displays a white crescent with five white stars in the canton. The red section is a symbol of equality and fraternity, while the white section is a representation of virtue and spiritual purity. The flag's emblem is a reflection of the country's population. The crescent moon is a symbol of Islam, so its inclusion reflects the country's significant Muslim population. It is a waxing moon, so it also reflects Singapore's status as a growing nation. 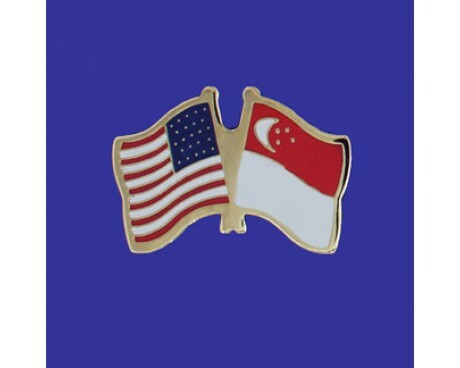 The stars were inspired by the flag of China, which represents the cultural and ethnic ties between China and Singapore. 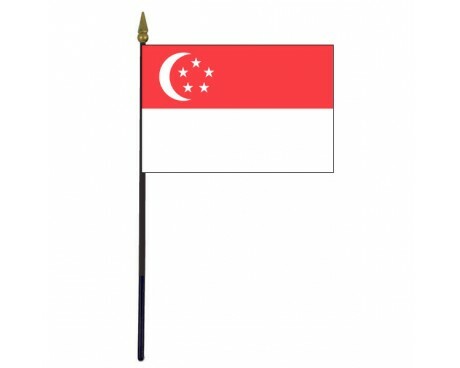 The first flag of Singapore, like that of many other nations, was a colonial flag that was granted to it by the British Empire. The colonial flag had a dark blue field that displayed the colonial seal on the fly side and the Union Jack in the flag's canton. The nation's first colonial flag also represented two other colonies, so the seal included three crowns in an inverted red pall on a white disc. Singapore eventually separated from the other colonies while remaining a part of the British Empire, at which point the flag was changed so that it only included a single crown. Singapore began to abandon the colonial flag when it became a self-governing part of the British Empire. It adopted the modern flag in 1959, which predated the nation's full independence from Britain by several years. 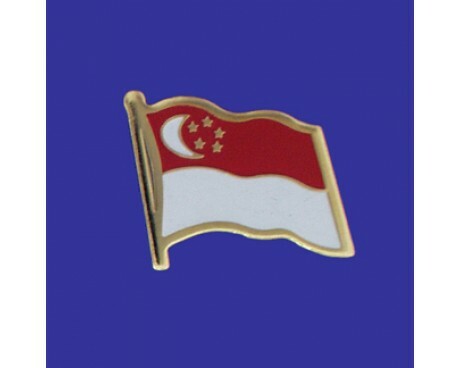 Singapore became part of the Federation of Malaysia in 1963, at which point the Malaysian flag was flown in Singapore until it left the Federation. That happened in 1965, at which point the government of Singapore formally confirmed the 1959 flag as the symbol of the nation.